You’ve purchased your investment property with the help of real estate comps and other professionals. But have you given thought to if this will be a short or long-term investment? Most investors think of property investment as a long term and understand that property prices do not rise right away. The longer you can hold a property, the better the return will be. When you build up equity, you may decide to buy a second investment property. Some investors like to flip, or renovate and sell, units. This would be considered short-term investing. The benefit here is that you receive your monies invested back in a few months instead of years. You have to decide which you want to go with, there are always those that choose to do both. You have to do what works best for your business. It is my hope that these tips have been helpful and that you will be able to get information to grow your business. 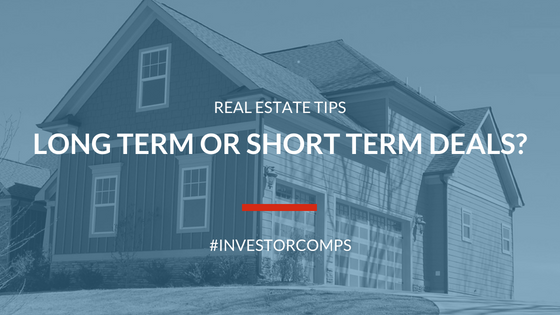 Remember InvestorComps is always a great resource for your real estate investment business.